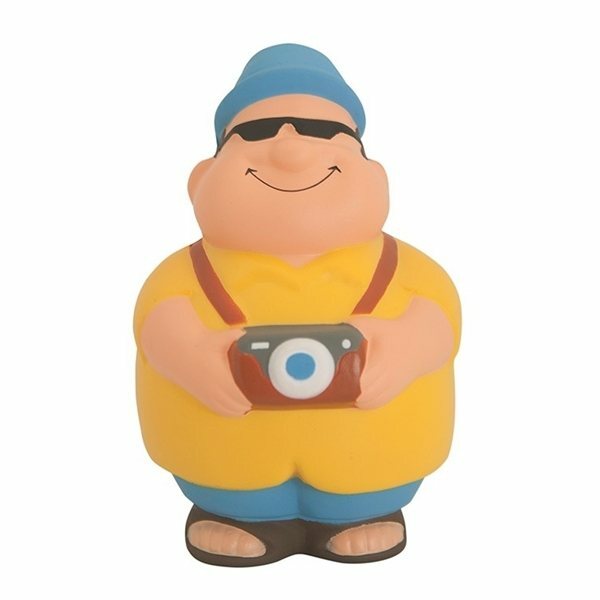 Tourist shape stress reliever is the perfect promotional item for any company dealing with traveling and vacations! With your logo, your clients and customers can enjoy a stress-free vacation even when they keep asking for directions. With a few squeezes they can focus on finding fun! This can be a great product for the clients. No complaints at all. The product was greater than the quality expected. Love them...great quality and great colors! Love the load and feel within the hands very comfortable.... The imprint looks great. An excellent promotion for the value. Our employees absolutely loved this product and also had them at their desks. The merchandise was very good quality and also the printing was excellent. Everybody loved it. It was a phenomenal gift! Really impressed us.